Summary: Another chapter in an ongoing series about this horrific symptom of America’s decay, both operational and moral. Most of us don’t see it. Rot, as in a home, usually remains hidden in the early stages (when it’s easy to treat). Only in the advanced stages does it become obvious, when treatment is expensive and painful. At the end are links to previous chapters, and to other articles about this important topic. As cash-starved state governments scrape their way through this so-called recovery, they might as well hang signs with this message on their capitals: “Everything must go.” States are hemorrhaging workers and selling off assets at a startling rate as they grapple with anemic tax revenues and dwindling federal dollars. So dire are the states’ economic woes that, in recent years, they’ve begun offloading a more unusual type of property: prisons. But CCA, to borrow a trope from journalism, buried the “lede” in the governors’ letter. The real head-snapping revelation appeared in the third-to-last paragraph: in exchange for buying a state’s prison, CCA required that the state prison agency ensure that the prison remained at least 90% full. Translation: We’ll buy your prisons and keep ’em orderly and clean, so as long you keep the prisoners coming in. This is just the latest episode in the decades-long takeover of the prison industry by private interests. Reagan’s “tough on crime” policies, as Michelle Alexander has written, caused spiraling incarceration rates, which in turn spawned a cottage industry of prison management companies looking to make a buck off the influx of inmates. CCA, for instance, has watched revenues grow by 500% in the past two decades. Another growth industry in our Age of Incarceration is prison labor, putting inmates to work making everything from uniforms to furniture for a few cents an hour. As historians and TomDispatch regulars Steve Fraser and Joshua Freeman explain, prison labor has a long and sordid history that should make us anxious indeed for our own degraded economic moment. Leasing prisoners to companies at wages from hell is a “Yankee invention” dating back almost 200 years that was modern then and, frighteningly enough, couldn’t be more modern today. Start here: graphs on the website of The November Coalition. A visual and quantitative display of shameful numbers. “Prisoners Help Build Patriot Missiles“, Noah Shachtman, Wired, 8 March 2011 — “some of the workers manufacturing parts for Patriot missiles are prisoners, earning as little as $0.23 an hour. “New Exposé Tracks ALEC-Private Prison Industry Effort to Replace Unionized Workers with Prison Labor“, Democracy Now, 5 August 2011 — Video and transcript. UNICOR is the trade name for Federal Prison Industries, Inc. They offer convict labor to maximize profits for a wide range of industries. See their website. More about the collapse of the American Criminal Justice System– Studies and reports about our shameful system. Previous Post Rome speaks to us. Their example can inspire us to avoid their fate. 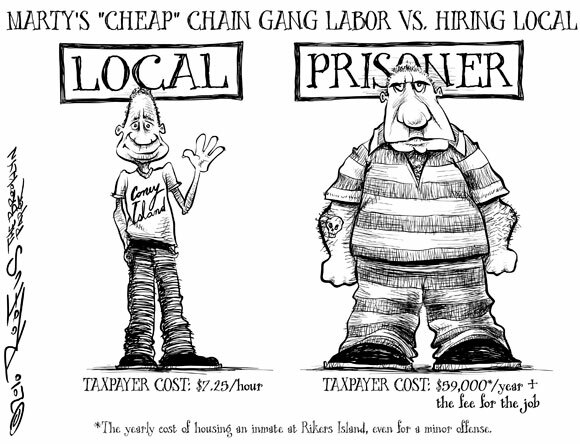 Next Post Convict labor returns to America, part 2 – Lucrative for the employers, expensive for us. Add to above facts that the US ” Gouvernment ” ( WHO ..are THEY ? ) now can imprison anyone they dont like .. without due public process …and You have the fullblown totalitarian state . Don’t forget the 1984-like surveilance capability now under construction. Not yet. Give us time. The Roman Empire was not built in a day. It took years to destroy the Republic. I sincerely hope for You and the USA that You are right … but am very sceptical … whether what You fight for ..is possible …. and ask myself : WHEN WILL THE AMERICAN PEOPLE WAKE UP ? Most important … Never ever bough to tyrany ! Immediately, I realized that this EXCEPTION needed to be capitalized rather than hidden between two commas, or behind “…” I was amazed, it was contagious, and after the study session I immediately recruited five or six enthusiastic collective members to research this exciting new emancipation gem stone with me. Now, approximately 32 years later millions of people across the country share this epiphany. The big problem is that ‘prison slave territory’, similar to the old expansions of chattel slave (or Slavocracy) territory has vastly and rapidly expanded at an alarming arrogant pace. From less than 450,000 prisoners 32 years ago, to more than 2,500,000/7,000,000+ prisoners today (those are official statistics while the true population is much larger). The current cost per prisoner has escalated from approximately $9,000-$14,000 to between $35,000-$85,000 per prisoner per year. Today, we also have more slave territory expansion with for-profit prisons, bogus laws, et al. Like the Slaver (slave catcher) told Huckleberry Finn, “There’s good money in catching runaway slaves”! 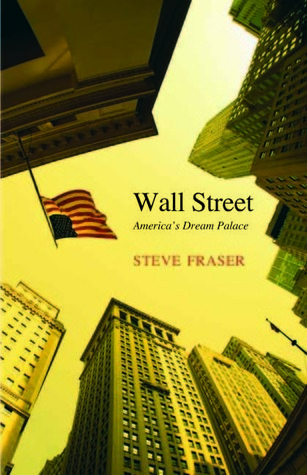 You’ll find the next two chapters in this series of interest. They give excerpts from the articles listed in the “For More Information” section. has original English Jamestown effort attempted to emulate Spanish model, enslave the local natives and live off their efforts … but natives around Jamestown didn’t have the numbers and/or organization and the colony almost starved the first two years. They then moved on to enslaved British as substitute.